Close to the famous Italian Cinque Terre region and equally blessed by a mild climate that makes it a perfect destination all year round, Provence is a dream destination among Europeans. Gordes, a tiny village on the edge of a cliff, the green Vaucluse, the maze of alleys that is Lacoste are only some of the best places to visit in Provence, the wonderful region in southeastern France that every year attracts and amazes tourists from all over the world. It’s the capital of the Vaucluse Department in southeastern France. Even though not a small village, visiting Avignon is one of the best things to do in Provence for so many reasons. The seat of the Roman Catholic faith for almost 70 years in the 14th century, Avignon today is a lively Provençal city with a wealth of beautiful churches and religious and secular buildings part of the UNESCO-listed historic center of the city that includes Palais des Papes (Papal Palace), the Episcopal Ensemble and the famous 12th-century Avignon Bridge over the Rhone river. Even though not for many years the seat of the papacy, Avignon still retains much of this period with several churches, religious buildings, and medieval streets that show the legacy of such an important historical phase and the wealth that has always surrounded the Christendom. Multi-cultural city of arts, museums, long history, many different restaurants, from the Michelin-starred ones to the cozy bistrot, Avignon is one of those places that can keep you busy for days. Even though hard to leave with so many things to do in Avignon, don’t stop there as Provence is a treasure trove and deserves to be visited in its many aspects. Quietly nestled between Mount Luberon and Saint Jacques Hill, Cavaillon is one of the big towns in Provence and one of the things to do in this southern French region. First of all, make sure you spend a whole morning walking around the local market set up every Monday and Friday from 8 am to 1 pm around the streets and squares of the city center. Colorful and lively, the scents of Marseille soaps and local delicacies permeate the air. The market is only one of the things to do in Cavaillon. 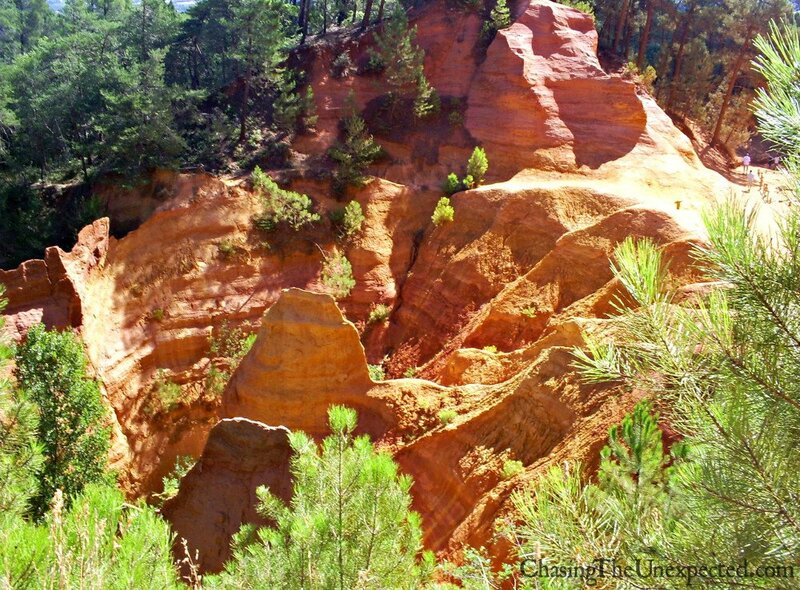 If you like hiking, take the easy climb to the hill of Saint Jacques and reach the top to admire a great view of the city and nearby Mount Luberon and Coulon river. Before leaving Cavaillon, stroll around the town’s main roads such as Cours Léon Gambetta, Rue de la République and Cours Bournissac to enjoy the quaint shops in a charming Provençal style selling all the products the region and the country are famous for such as lavender-based goods, blue and lesser blue cheeses such as the famous Roquefort, Camembert and Brie, the long baguette bread, fruit marmalades and local honey. If you are into food experiences, less than 30 km away from Cavaillon, try Carpentras, also in the Vaucluse region, famous for its delicious truffles. Gordes, a picturesque village in the Luberon region of Provence, Southern France. Definitely one of the best places to see in Provence, many artists came to this lovely traditional hilltop village and one way or the other they contributed to its fame. Located on a giant calcareous rock from the Mont de Vaucluse, the white houses of Gordes dominate the valley. 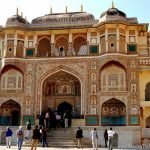 History, traditions, narrow streets and fine views that await you at the top make this beautiful hilltop village a tourist attraction. The 11th-century castle is one of the most important historical monuments in the village, tall and imposing with its stone walls and towers. Gordes is home for many cultural events in summer with festivals, museums, and few other exhibitions. 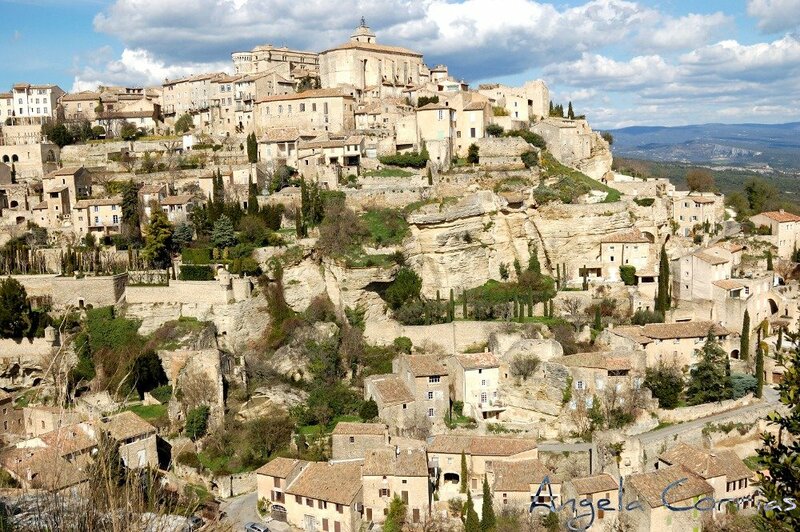 Gordes is about 25 minutes from Avignon, the closest city. Around two hours and a half from Paris by fast train. From Paris with the plane is around one hour. With stunning landscape views, it is another site to see and take some pictures! Would definitely recommend for anyone in the area to put on the runners and see the lovely cliffs and the magnificent color. This requires a bit of walking, but worth it for sure. Half an hour before and after the sunset are the perfect time for taking some pictures. Pity I couldn’t stay there that long. An entirely stone-made village a few kilometers away from Gordes, Village des Bories can be considered an open-air archaeological museum and only for this is definitely worth a visit. The origins of the cone-shaped stone dwellings are deemed to date back to the Bronze Age, while the village construction is still a topic of debate among historians. If you still want to visit another beautiful place in the area then on you way out visit Abbaye de Sénanque (Sénanque Abbey). Have a tour through the lavender fields and the area in the abbey where they product lavender products and do your lavender product shopping with affordable prices. Lacoste is a must if you are wondering what to see in Provence. 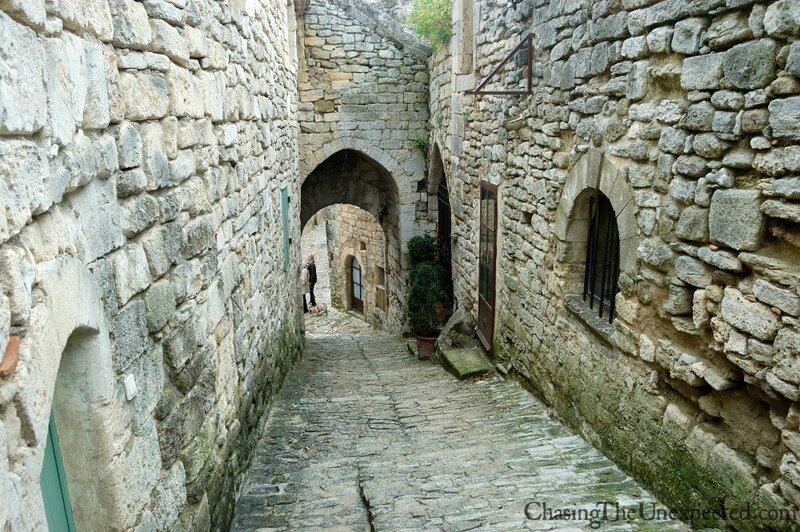 Picturesque village entirely made of narrow, winding, uphill alleys, Lacoste is mainly known and visited for the famous castle once belonging to the notorious Marquis De Sade and later bought by French fashion designer Pierre Cardin. Now more of a wreck than a luxurious mansion, it’s the property of French fashion designer Pierre Cardin who restored it, even though the interior is still not open to the public. After writing some of his most blasphemous books, Marquis De Sade was exiled here in Lacoste in 1768. By walking through the damaged lanes you can still see that it was a perfect place for hideouts, parties and strategic writing retreats. The village, around half an hour drive from Avignon, is really perched on a hill and gives beautiful views. Here you can walk around its tight lanes and feel the vibe of the old France. L’Isle sur la Sorgue one of the top towns to visit in Provence, especially its beautiful market on Sunday morning. A sort of “island city” where water seems its main vital element, it’s easy to guess that L’Isle-sur-la-Sorgue does offer excellent postcard-worthy corners. Stroll around its streets, enjoy the cozy little shops and savor an ice cream along the river. Very green, unsurprisingly being on the water, and colorful thank to the ubiquitous flower pots, L’Isle is a paradise for antique lovers, traditional life, and local markets. If you happen there on Sunday morning, don’t miss the open market set all around the city center and considered one of the best markets in France. Fresh fruits, vegetables, handicraft, textiles and all local products will make your trip memorable. The market takes place also on Thursday from 8 am to 12 pm, but in much smaller scale than on Sunday. During my wanderings around L’Isle, I ended up in a lovely vintage shop selling old books and newspapers, and at the weirdest (and creepiest) dolls’ house. 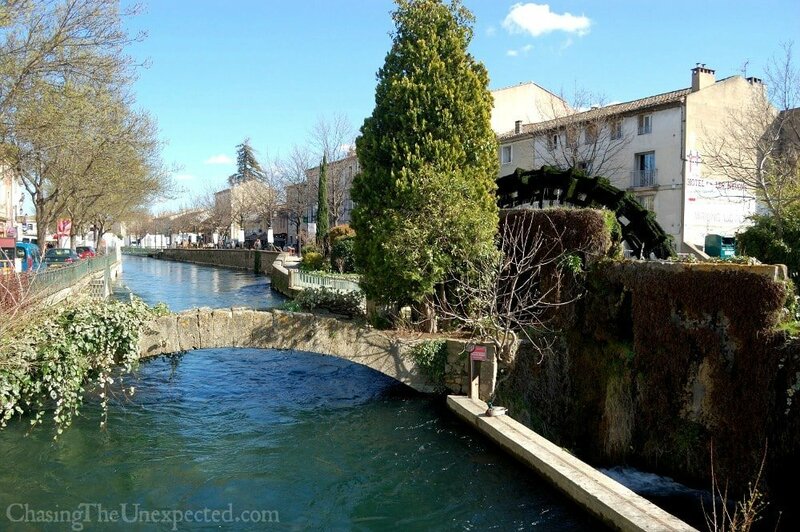 As the name suggests, Fontaine de Vaucluse (Fountain of Vaucluse) is also on the water. 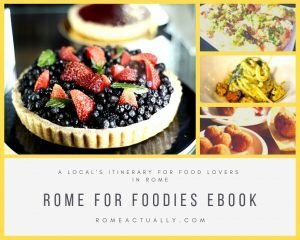 The surroundings are so romantic that Italian 14th-century poet Francesco Petrarca decided to live here for a while to be inspired to write his poems. Some of the highlights that make this town one unmissable in your Provence sightseeing are the museum devoted to Petrarca’s sojourn from 1337 to 1353, the Romanesque-style church of Notre Dame Saint Véran and the Museum of Provençal traditions. Chateauneuf-du-Pape one of the villages in Provence to visit. If you’ve made it to Châteauneuf-du-Pape, you totally deserve a glass of their famous wine. Thankfully, it won’t take you long to find it as wineries and caves are all around this small, lovely village. Surrounded by lush vineyards, here was the countryside residence of the popes during their Avignon years. The many wine caves will offer you some free tasting of their exquisite wines and small bites of the foods they can be paired with. 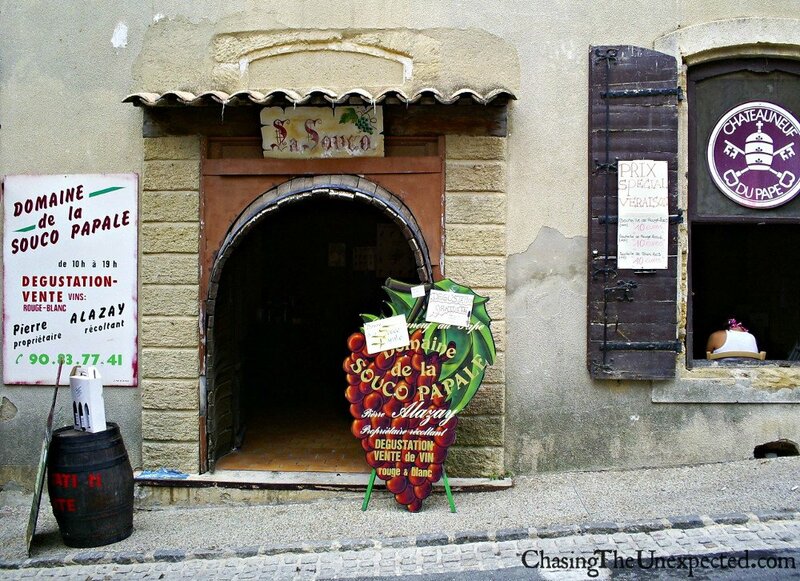 When you are done wine tasting, get on with your tour of the town and visit the castle, the nearby medieval town of Courthézon and, if you are there on the first week of August don’t miss the lovely, Provençal festival Fête de la Véraison. It’s easy to reach Provence by plane as there are many flights to Marseille from several European cities, with both low-cost airlines and the main ones. Click here to check out availability and latest offers found by Skyscanner comparison website. Its mild temperatures all year round make for a perfect travel destination in all seasons. However, if you really want to enjoy the best Provence can offer, get there in spring, when all flowers are blossoming and colors and scents will your journey heady and pleasant. 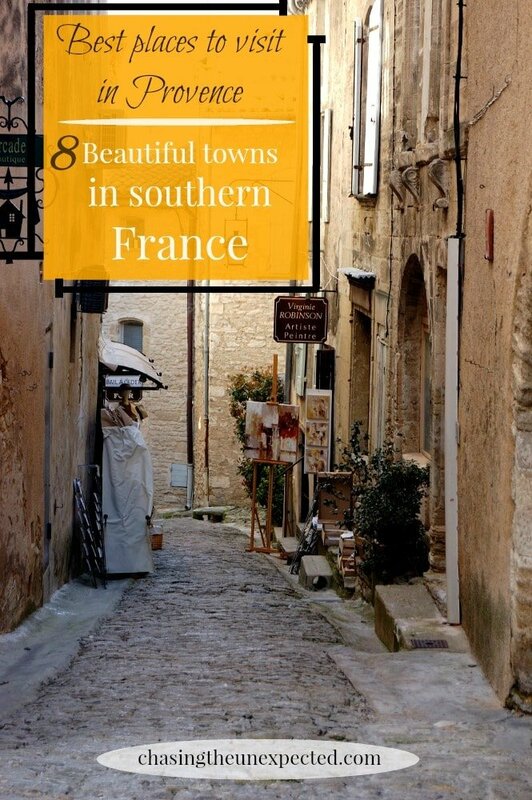 While it’s easy to arrive, get around the region’s many little villages, which is definitely one of the highlights of any trip to Provence, is less handy. There are trains and buses but not so many and they don’t reach everywhere (for Lacoste for example, you need a car). Check out this link to see some bus schedule. If you have a tight travel timetable, however, you either plan very carefully or you just rent a car. The main car rentals you will find at Marseille airport will be Hertz and Avis. Click here to find the different car rentals available at Marseille Airport and current prices. Hotels in Marseille. If you have decided to make Marseille your base, check out nice hotels like Sofitel Marseille Vieux-Port and Le Petit Nice – Passedat for a luxurious stay with dining options and state-of-the-art amenities. If you prefer to stay on a budget, nice options are Massilia Hotel or B&B Hotel Marseille Prado Vélodrome near the beach. Hotels in Avignon. It’s hard to resist to such a beautiful city, and thankfully there are many hotels in Avignon that can make your trip pleasant and relaxing. For a luxurious holiday, pamper yourself at places like Hotel d’Europe or La Mirande, while for a budget stay, check out the best places in this price range such as Régina Boutique Hotel and Hotel Les Corps Saints. Hotels in Cavaillon. Cavaillon is also a pretty good departure point to visit Provence villages as many are the buses that come and go from here. Among the best hotels in Cavaillon are Inter-Hotel du Parc and Ibis Cavaillon, or Mercure Cavaillon for a luxurious stay.